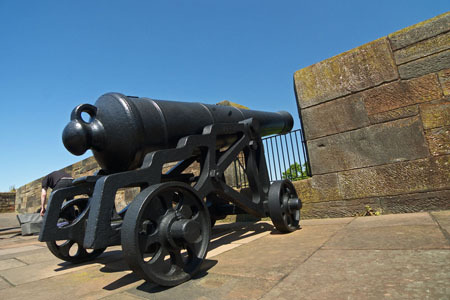 One of the cannon on the castle walls overlooking Bitts Park. Carlisle Castle. One of the cannon on the castle walls overlooking Bitts Park. This one is pointed towards Carlisle's Stanwix area.